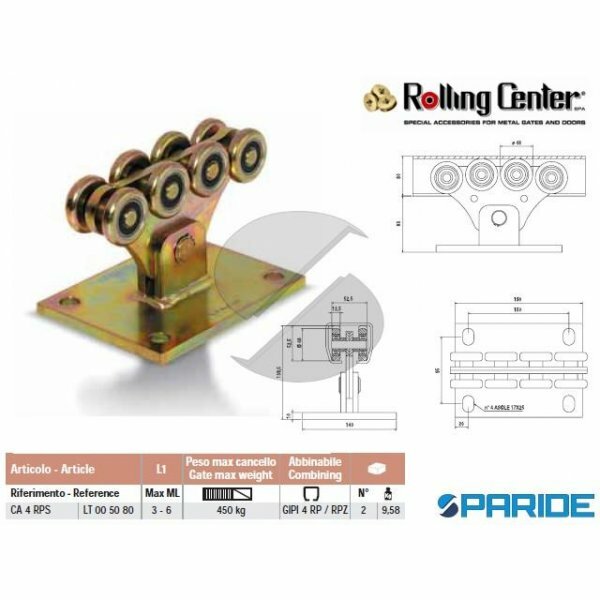 CARRELLO BASIC CA4RPS PER CANCELLI AUTOPORTANTI ROLLING CENTER. CARRELLO BASIC ARTICOLO CA 4 RPS PER CANCELLI IN FERRO AUTOPORTANTI ROLLING CENTER. LUNGHEZZA BASE 190 MM, INTERASSE..